Started by father and son team, Peter and Dylan Aune, Great Northern Window and Door has brought value, passion and customer service to the Central Oregon community over the past ten years. Today, Great Northern Window and Door has become a top rated window and door company in the Pacific Northwest. They have achieved high recognition as a four time Milgard window dealer of the month, and are a leading provider of the Milgard product line. Today Great Northern Window and Door includes an 14-person team (and growing!) dedicated to delivering exceptional service. 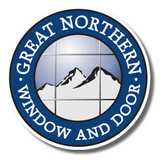 We want to invite anybody considering buying new windows or doors to visit our new location and see the Great Northern difference. With over 20 years in the glass and glazing industry, we can do any type of shower or custom glass work you need. 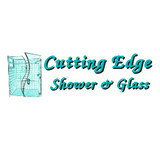 From a basic framed shower door unit to custom LED glass or cast glass applications, Cutting Edge Glass can handle your project. We also handle residential and commercial window and door projects. If you have foggy windows in your home, we can change the glass only or offer new vinyl or aluminum window replacement. We can fix broken glass in your home or business, as well as provide new replacement window screens. Lifetime Windows & Doors is the leading provider for quality replacement windows and doors in the Bend, OR area. We sell and install custom windows, doors, roofing, and siding. Our trained team has been providing homeowners with beautiful products and expert installation since 1998. With three abusiness locations, we service customers throughout Portland, Milwaukie, Beaverton, Bend, Vancouver, WA and many other surrounding areas. Our Oregon-native business founders understand the needs of the local area when it comes to choosing stunning, energy efficient windows and doors that will last a lifetime. We carry many options for your replacement window project including vinyl, wood, fiberglass, and aluminum windows. Our knowledgeable team will provide personalized service to help you select the perfect windows that will beautify your home, bring in more natural light, increase energy efficiency, and improve curb appeal. Having your windows installed by Lifetime Windows & Doors will ensure that you receive the best possible product and installation, while staying within your budget. We have a proven track record of success and customer satisfaction. Trust us for your window needs, and you are guaranteed to feel cared for throughout the whole process from initial contact through installation and beyond. 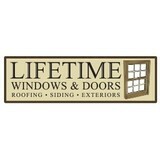 Lifetime Windows & Doors is also your leading supplier of replacement doors, siding, and roofing. Our door options include beautiful sliding doors, patio doors, french doors, entry doors, and moving glass wall systems. We offer free estimates, and would love to answer all your questions with a no-pressure consultation. Our siding recommendation is James Hardie fiber cement siding, which is fire and weather resistant. Completing both window replacement and siding projects at the same time can be a great way to get the perfect, seamless installation your home needs. If you are in the market for a new roof, our factory-trained installers will give your home a roof that is built to last for comfort, safety, and complete protection from the top-down. We carry products from Malarkey Roofing, a Portland manufacturer. Contact us today at (541) 633-7868 for your window, door, roofing, or siding needs. We would love to provide your free, custom quote and show you the Lifetime difference. We install peace of mind, energy savings, and value one home at a time. Total Glass Resurfacing is a mobile glass restoration company specializing in: scratch removal, water spot removal, water spot prevention, solar panel restoration, windshield chip repair, headlight restoration, stainless steel restoration and window cleaning. SERVPRO of Klamath & Lake Counties understands the stress and worry that comes with a fire or water damage and the interruption it causes to your life and home. Our goal is to help minimize the disruption to your life and quickly make it "Like it never even happened". Servpro commercial services SERVPRO of Klamath & Lake Counties specializes in the cleanup and restoration of residential and commercial property after a fire, smoke, or water damage situation. SERVPRO of Klamath & Lake Counties also mitigates mold and mildew from your home or business. Our staff and crews are highly trained in property damage restoration. From initial and ongoing training at our corporate training facility to regular IICRC industry certification, you can be assured our staff are equipped with the knowledge they need to restore your property. With advanced "real-world" training facilities you know you are in good hands with SERVPRO of Klamath & Lake Counties. Provider of Custom Wood Windows & Doors developed through integrity, design, experience, teamwork, service, and a commitment to quality to our clients. Whether you’re building a new Black Butte Ranch home, remodeling an old one or just replacing a few windows that are past their prime, your window dealer in Black Butte Ranch, OR will help you pick the right windows for your needs, home style and budget. Windows come in so many sizes and types that expert advice and direction is invaluable in helping you make the best decision. These pros can also help you with custom window designs that complement your space better than something ready-made. Lastly, if you are interested in doors with windows, these experts are also knowledgeable about sliding doors, French doors and other paned portals. Your window pro might work closely with other Oregon builders and remodelers as well. Here are some related professionals and vendors to complement the work of window sales & installation: Window Treatments, General Contractors, Home Builders, Specialty Contractors, Siding & Exteriors. Find a window dealer on Houzz. Narrow your search in the Professionals section of the website to Black Butte Ranch, OR window dealers. You can also look through Black Butte Ranch, OR photos to find examples of windows that you like, then contact the window professional who worked on them.